You get the message that tournament is completed. Your Action drop-box will change. There are couple of tools you can use for next 20 minutes or so. 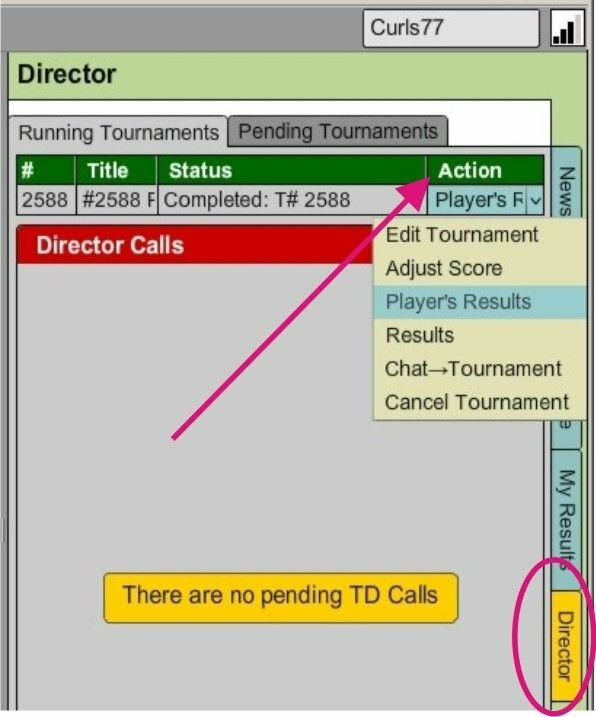 After that tournament will be considered completely closed and will disappear from your Director tab. 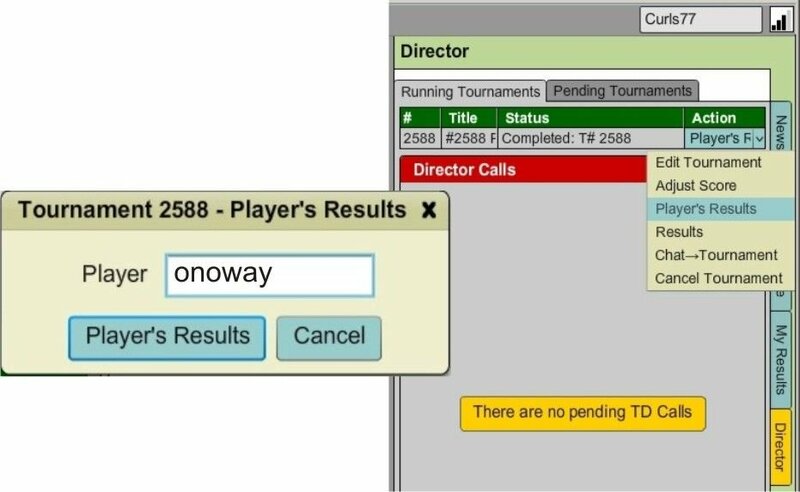 Select CHAT TO THE TOURNAMENT to send chat message to players. 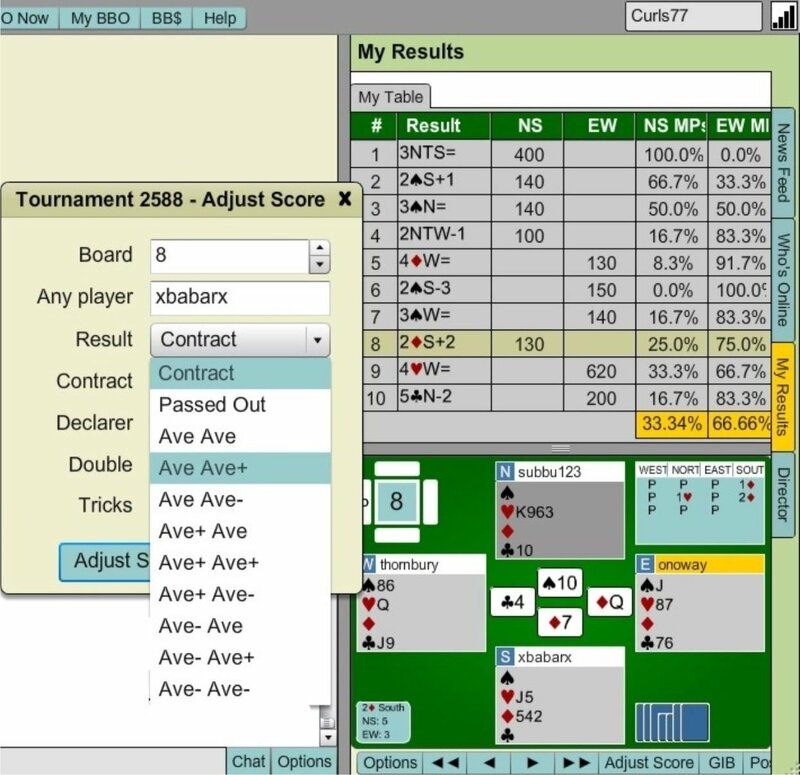 And lastly, you can retrieve ANY board played by ANY player, and adjust it if you did not have time to do it while tournament was running. 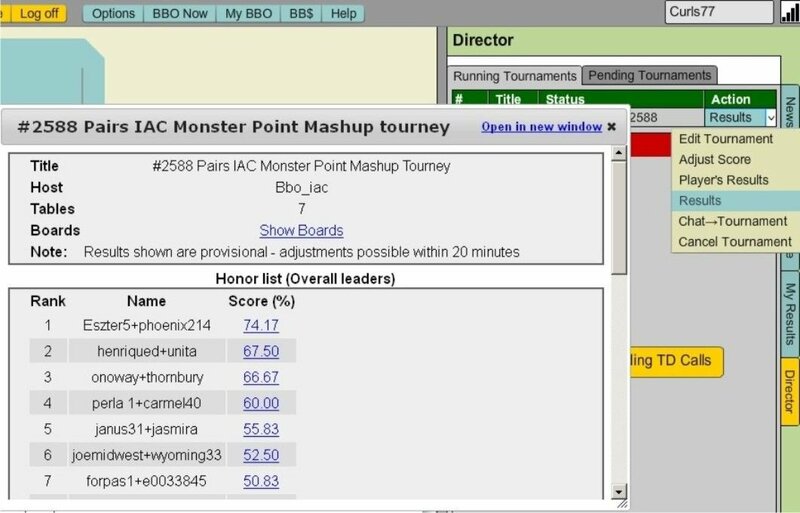 As explained before, click on PLAYER&apos;S RESULT, insert name of that player in the box and you&apos;ll get list of all boards played by that player. 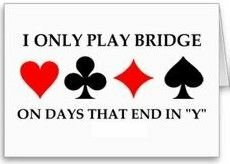 Select board that needs adjustment, review bidding and play, check what GIB says, and make your decision as to what to adjust. Hit adjust score and that&apos;s it!